The Stadium Burner Set is the latest from ISOFLAMES. The newest log set has an all Electronic Ignition with an optional on/off wall switch available. This set is reversible which leaves the homeowner with two presentation options shown in Oak and Split Oak. The burner is our Grand Stand design and allows the remote to be hidden with no unsightly electronic black box. These logs are made to impress and are an energy saver due to the fact that they are combined with high efficiency variable technology, which uses less BTU’s while achieving more flame. 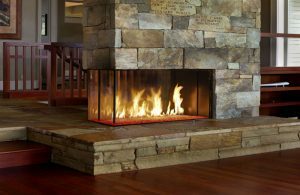 Use these logs to complete the Isokern B-Vent Fireplace, or any vented fireplace setting.